Palestinian Authority chief Mahmoud Abbas said Sunday that the Trump administration had suggested that the PA pursue a federation with Jordan, instead of an independent Palestinian state. Speaking to Shaked Morag, head of the far-left Peace Now group, along with MK Musi Raz (Meretz) and Kesenia Svetlova (Zionist Camp), Abbas said that the U.S. negotiating team had told him that the matter of PA independence could be resolved with a confederation, and that Jordan was prepared to discuss the concept. In response, Abbas told his visitors that he would agree to the deal – only if Israel was part of the confederation. 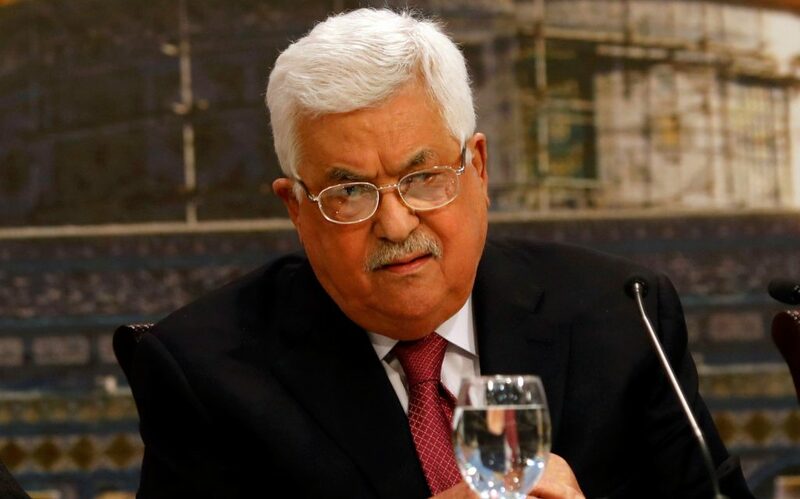 “I asked the negotiating team of Jared Kushner and Jason Greenblatt if they thought Israel would agree to this, and they said they didn’t know.” Abbas added that he had met with President Donald Trump himself four times, and that the President had told him at each meeting that he was in favor of the two-state solution, with security in the region provided by NATO. In his remarks, Abbas also sharply criticized the United States for ending its funding of UNWRA. “The U.S. has taken a hostile step against the Palestinians and is shutting down the peace process,” Abbas said. “They want to close UNWRA down altogether,” and that would have devastating effects for the Palestinians. “Seventy percent of the residents of Gaza are refugees, and they live off what UNWRA provides. The President wants to shut down UNWRA and provide massive assistance to the Palestinians, but how does that work,” considering that if the UNWRA distribution mechanism is shut down, there will be no way to provide that aid, Abbas said. Abbas also said that closing a final deal should not be too difficult. “I meet with the head of Israel’s Shin Bet on a regular basis,” he told the Israeli group. “We agree on 99 percent of the issues.” Abbas added that Israel and the PA conduct “full security coordination on a daily basis,” and that his people “do their best to ensure that no Israeli gets hurt” by terrorists.